These days, more people prefer to vape instead of smoking. Certain reasons make vaping an obviously better choice than smoking cigarettes. For vaping, you need a vape pen and a vaping material, like UK eliquid. If you are a smoker and are looking for valid reasons to switch to vaping, here’s a list of benefits of vaping instead of smoking. When you compare smoking to vaping, vaping has evidently lower health risks. In fact, since vaping doesn’t necessarily require nicotine, there are minimal health risks that smoking poses. Smokeless use of tobacco does not have the potential to harm your health as much as smoking cigarettes; and this is backed up by various researches. Vaping cannabinoids, like CBD with less than 0.3 percent of THC is even considered to have certain health benefits. One of the major reasons why, if you start vaping, you wouldn’t want to go back to smoking is because vaping gives you variety. Vaping material come in various flavours to suit each individual’s preference. In fact, the flavours seem so personalised that many people who vape find the taste of tobacco too bitter when they smoke again. One of the biggest problems for smokers is that smoking is not always publicly acceptable. There are certain places where smoking is prohibited. If you want to smoke, you would have to go to step outside to find a place that permits you to smoke. However, vaping is socially acceptable in many places that do not allow smoking. This is again one of the factors that encourage many people to give up smoking and switch to vaping. The biggest advantage of vaping is that it is not as addictive as smoking. For people who intend to quit smoking, vaping makes it easy to break the process down into steps. 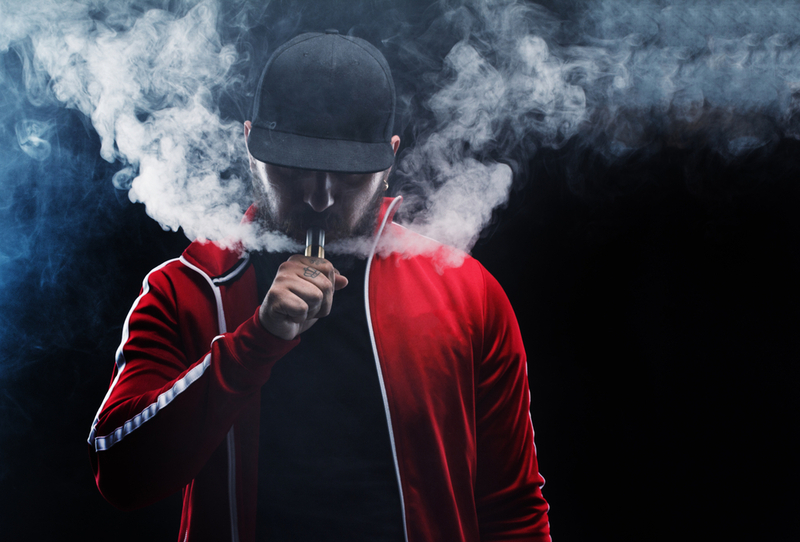 First of all, people would switch to vaping and, after a certain period of time, it becomes easy to even give up vaping or at least have bigger gaps between vaping. When you smoke a cigarette, there is odour and it also produces ashes. This becomes yet another concern when you are around people and smoking. It might be disturbing for non-smokers. However, when you use a vape pen, and do it patiently, you let out nearly no amount of smoke. And obviously, vaping does not produce ashes. Moreover, vaping does not leave any residual smell that lingers on your clothes and fingers. Whether you are a smoker who is planning to quit smoking or a person who is intrigued by vaping, vaping is definitely worth a try. People who start vaping wouldn’t find the habit addictive or too hard to get rid of. While it definitely becomes a substitute for smoking, it gives you the ability to let go of your addiction for smoking and have more control on your habits that help you lead a healthier lifestyle. And once you are out of the vicious habit of smoking, you can stop vaping whenever you want to.